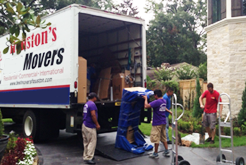 Whether you are looking to move overseas, interstate or just around the corner,Best Houston Movers can take care of all your relocation needs. We are a specialist moving company that prides itself on providing amazing customer service to all our clientele, helping ease your way through what can be a very stressful time. Whether you have planned your move well in advance, or you have a last minute rush on, we are here to help. Our teams of experienced movers can cope with all sizes of moves, from just a few items up to the largest of properties. Nothing is too much trouble! We understand all the problems and stresses that a move can bring and aim to take the worry off your shoulders, allowing the moving process to be a calm and stress free experience. We have no doubt that we are the best in the business. All our teams are dedicated and well equipped to the best possible standards, allowing them to offer a total one-stop solution for all your moving needs. We have worked hard to ensure that all our customers are offered the best possible service, and this hard work has meant that in a fairly short period of time, we have worked our way up in the industry and are now considered to be the most highly regarded movers in Houston TX. Whatever your unique requirements are, you can be certain that we can accommodate them. 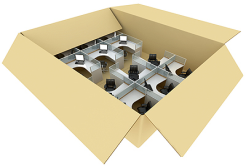 Assembling and Disassembling – the easy way to move. Just sit back and let our teams do the hard work. We will take each piece of furniture apart, load onto one of our trucks and reassemble it again in your new premises with no trauma or damage to your possessions. We have all the tools necessary for dealing with sofas, tables, beds, cabinets, wardrobes and just about every piece of furniture you can imagine. Our team’s expertise means that your furniture will be in the same great condition once it is reassembled in your new property. Do it yourself – if you wish to take an active part in the move and pack some or all of your belongings yourself, we can make this easy for you. Many people preferto choose this option, not just to save a few dollars, but because they like to pack their personal items themselves. All the boxes and materials can be provided by us and you can be sure that the materials we use are top quality, so your personal belongings will be kept safe and secure whilst they are in transit. 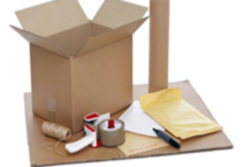 Our packing boxes come in different sizes and we will make sure that you have as many as you need, so you won’t have to over-pack and risk damage to your precious items. Great and efficient packing is an art and we will be happy to advise you on the best way to protect your delicate and breakable items. Unusual and awkward shaped furniture – furniture is not always a uniform shape and size. Sometimes you can wonder just how a piece of furniture actually got into your property and you certainly can’t work out how it is going to come out! Don’t worry, if someone got it in, we can certainly get it out. 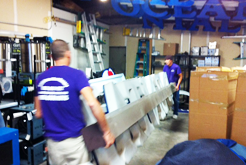 Our vast experience in the industry means that nothing defeats our teams of movers. Just stand back, relax and watch us at work. 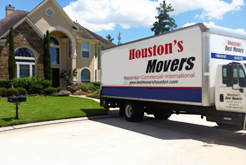 Top Movers in Houston – Our reputation speaks for itself! Our portfolio of satisfied customers will tell you that the service we provide is second to none. Our large fleet of vehicles are all up to date and extremely well maintained, allowing us to move your belongings with the minimum of fuss to their new home, whether that is in America, Europe or anywhere in the world. Personal support and guidance will be offered throughout the whole process by our teams of dedicated customer service agents. Fully trained and experienced in offering top class customer service, you will find that their friendly approach will help to put you totally at ease and your belongings in our hands. When you choose Houston Movers, you can feel totally secure that you and your property will be looked after as if it were our own. We are licensed, bonded and fully insured, offering you security and protection and most importantly, peace of mind. Every single one of our vehicles is kept fully maintained and roadworthy at all times, so there will be no delays from unexpected breakdowns. On top of that, the trucks all have air suspension systems, so bumpy roads and tracks are no problem allowing your belongings and our drivers to have a smooth ride. Our packers are the best in Houston. With an average of 5 years experience, there isn’t anything they don’t know about the moving business. They use a packaging process that is extensive and thorough, incorporating rubber and foam padding as well as blanket covers on all your electrical and electronic appliances. This extensive packing process means that your belongings will arrive at their new home in the same condition that they left. 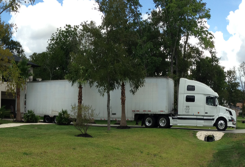 Houston Movers also offer a free 30-day storage facility. Great if you have to move out of your property before the new one is ready. 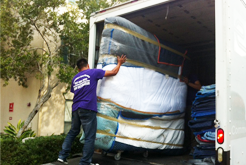 Don’t waste your time on cheap moving companies that utilize daily laborers and provide low quality services. Choose an affordable mover like us that use top of the line advanced equipment and highly trained movers for a succesfull move. Our mission is clear and simple. Houston Movers will provide you, the customer with the best in quality packing and moving services that is available anywhere. Customer service is our number one priority and we ensure that we not only meet, but also exceed all of your expectations. That is why Houston Movers are the first choice in TX. As Houston's Best Moving Company we are very proud to announce that we are one of the first companies to add green practices to our services. All our trucks run on bio diesel and our packing materials are totally biodegradable. By using bio diesel, we radically cut our emissions and reduce our carbon footprint. Using biodegradable packing materials, we ensure that we don’t contribute to the growing landfill problems. At Houston Movers, we firmly believe that we can offer the customer the smooth and hassle free service you deserve whilst still protecting the environment. 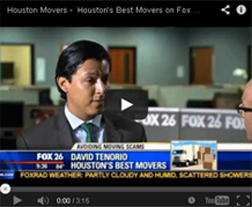 © Copyright 2014 Bestmovershouston.com All Rights Reserved.